We know that running a fleet of commercial vehicles, or having vans in the mix with cars, can be complicated and require a level of service that is more in-depth than with cars alone. There are a number of points that need attention when considering the right commercial vehicles for your fleet, such as payloads, wheel base length, ply lining and door types, to name a few. And that’s all before deciding whether the vehicle needs to be converted. As part of our commercial vehicle leasing services, we offer competitive contract hire and alternative funding options. 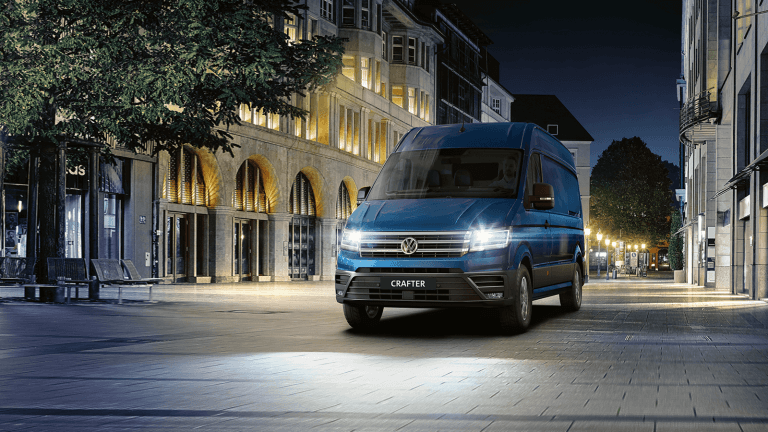 We supply and fund vans, pick-ups and passenger carriers from any manufacturer up to 3.5t, as well as the full Volkswagen Group commercial vehicle range. Plus, if any of your lease vehicles need to be converted, we’ll support you through the whole process. If your fleet is largely made up of commercial vehicles or your business is highly dependent on them, we offer a specialist leasing service with dedicated commercial vehicle account managers, backed up by the support of our brand manufacturers. It’s a service that’s specifically designed to keep your vehicles operating at optimal efficiency. If it’s peace of mind that you’re after, take comfort from an unrivalled range of fleet management services, including award-winning telematics and fuel cost management solutions and a personal and seamless partnership with your dedicated fleet manager. Or, if you like to keep things simple we’ll deliver transparent pricing, and access to specialist support for when you and your drivers need it. Perhaps your fleet investment just needs best value, with a guarantee of no hidden costs, a £100 damage waiver per vehicle and the opportunity to pool your mileage across your commercial lease vehicles. Or maybe nothing less than a premium portfolio of solutions will do, including market-leading customer service from a UK-based, dedicated BVRLA-accredited team and 24/7 concierge service, and award-winning self-service tools for drivers. If you're unsure about commercial vehicle leasing we're here to support you. If you choose us, we share your commitment to providing a service backed up with the knowledge and experience of our brand, Volkswagen Commercial Vehicles. David Jones, CV Specialist & Strategic Account Manager. You can rest assured that we are backed by Europe’s largest automotive bank and you can lease any make or model of van or commercial vehicle from us. Ready to talk commercial vehicle contract hire and leasing? Our friendly team is waiting to discuss your specific commercial vehicle leasing needs and find a solution that’s geared to you, your fleet and your business.